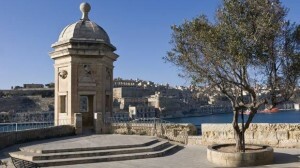 Hastings Garden is a public garden set on the bastions of Valletta. It was named after General Francis Marquis of Hastings. You can get there by turning left once you are entering the city walls. This lovely garden offers breathtaking views of the Marsamxett, Floriana, Sliema, Msida and Manoel Island. This unusually shaped garden spreads over 350 meters and is divided into two – North and South. The Lower Barracca and Upper Barracca gardens in Valletta offer breathtaking views of our Grand Harbour and the fortifications built by the Knights of Malta. 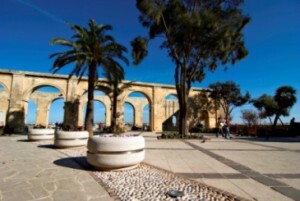 Lower Barracca gardens are located on the top of the St Christopher’s Bastion, having the exceptional views of the Grand Harbour, Fort Ricasoli, Bighi Palace, Fort St Angelo and creeks of Birgu and Kalkara. 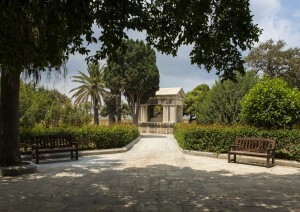 The garden is home to a monument in honour of the first British governor of Malta, Sir Alexander John Ball. The Siege bell can also be found there. The Upper Barracca garden offers a nice retreat from the city streets. It is twinned with the Lower Barracca and is considered to be one of the most beautiful parks in Malta. Statues found there include that of Sir Winston Churchill, and a sculpture by the Maltese sculptor Antonio Sciortino, named “The street boys”. Initially, the garden was a gift of eighteen century Italian knight. It was meant to offer a place for relaxation to the Order of St John. 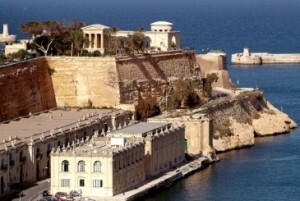 The Upper Barracca gardens offer a beautiful spot for tourists to enjoy the Grand Harbour views. 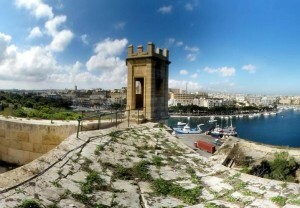 On the other hand the lower Barrakka is visible from the Upper Barracca gardens, straight along the bastion wall. If you are a plant lover stop at the Argotti botanical gardens, which are located just outside Valletta and a few minutes’ walk from the Grand Hotel Excelsior. Back in the 18th century, before becoming a botanical garden accessible to the public, these gardens were the private domain of Grandmaster Pinto. Back in the day Argotti Gardens were used to grow medicinal herbs and plants. In fact, even today a small area is still used by the University of Malta for educational purposes. The gardens are often the venue of arts’ and cultural events and make a perfect evening setting. One may find oaks, oleanders, potted plants and cacti, a number of fountains, ponds and water towers and a horticultural museum inside the villa. Apart from admiring the beauty of various plants one can also enjoy spectacular views of the Grand Harbour and Marsamxett Harbour. The Sa Maison Garden is a small and beautiful rustic-style garden, located meters away from the Grand Hotel Excelsior, which is mainly known for its military association. The garden is also known as il-Ġnien tal-Milorda (Her Ladyship’s Garden) in memory of Lady Julia Lockwood, who resided there between 1842 and 1856. Her house was later demolished and the garden taken over by the military, which were responsible for its maintenance until 1903, when it was taken over by the civil government. The bastions wall is engraved with regimental crests and the garden is spread over a number of levels. The watch tower (Gardjola) which can be found in the gardens offers spectacular views of Ta Xbiex Yacht Marina. If you’d love to enjoy a pleasant and tranquil afternoon then enjoy a quiet stroll around San Anton Gardens, the President’s garden. 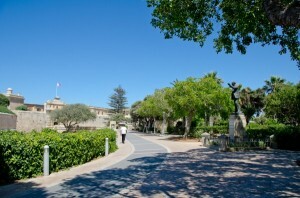 This public garden is situated between Attard and Balzan. Originally parts of the Palace grounds were owned by Fra Antoine de Paule before he joined the Grand Masterdom of St John in 1623. After his death the building was handed down to the Order and continued to be further embellished. During the times of the British rule the palace became an official residence of Malta’s British Governors. It is nowadays the official residence of the President of Malta. 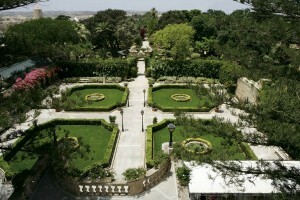 The gardens form part of the San Anton Palace. Although the gardens became accessible to the public in 1882, the palace itself remained private with a limited access. Cobbled walkways shaded by ancient trees, beautiful sculptures, and old fountains are some of the characteristics of this garden. Children will enjoy watching the ducks and swans swimming in ornamental ponds. To further showcase the palace as its original purpose, that of being the Knights’ summer residence back in the 17th century, the gardens have a variety of trees, flowers and orange and lemon groves which give the garden a sweet spring touch. Originally a private palace, Palazzo Parisio has been fully restored and has become a museum and the only privately owned garden in Malta accessible to the public. These gardens are a mix of the Italian symmetry, Mediterranean colours and scents, and changing colours in accordance with the season. One is provided with a great experience whilst walking through the orange grove, the flowering trees or admiring many exotic species. 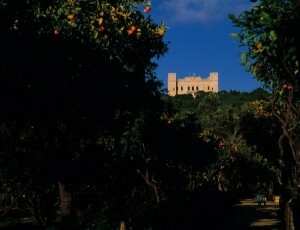 Ta’Qali National Park is located on the outskirts of Attard, in an area which was an airfield in World War II. The park is a recreational area offers a relaxing environment and an escape from the urban lifestyle. One can enjoy nice walks, a picnic and children can also make use of the recreational facilities. Apart from that, for those interested in the fauna and flora the park has a variety of ornamental plants and trees, of both indigenous and non indigenous origin, as well as fauna species which, with some attention and observation, can be easily discovered and appreciated. 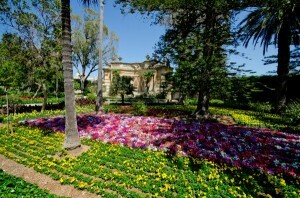 If you are looking for a quiet spot after some sightseeing around Mdina and Rabat, the Howard gardens are ideal. They offer tranquil surroundings and beautiful views of the medieval city. These gardens are named after Joseph Howard, the first Prime Minister of Malta under colonial Government. 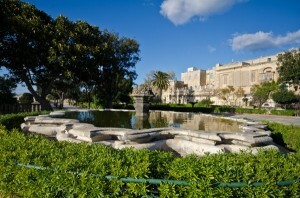 They are one of the largest public gardens in Malta and are also a natural barrier between Mdina and Rabat. This sought-after site includes various statues, an orange garden and the Old Cross which is said to be a gift from Count Roger the Norman as a celebration of reinstatement of Christianity after liberating the islands from the Arabs in 1090. Buskett (meaning a small forest) is considered one of the greenest areas in Malta. It is situated between Rabat and Dingli Cliffs. The Buskett gardens owe their origin to the Knights of St John who used them as a hunting area. At Buskett one finds several trees and shrubs which grow in the gardens, including oranges, cactus, Mediterranean pines, cypress trees, bushes and flowers. The gardens are at their best in spring but also offer a quiet place for a walk in the winter months. This area is very popular amongst locals as they frequent it during the weekends for picnics. It’s also a nice area for nature lovers who want to discover the flora and fauna. And moving South bound, there are also some unique and interesting gardens that are worth a visit especially if you are sightseeing the area. 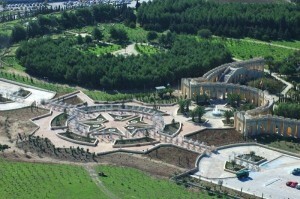 The Gardjola gardens, also known as safe haven gardens are located in the south of Malta within the Three Cities. These gardens were planned in 1551 by Grandmaster De La Sengle. Located in Senglea and sitting on the bastions, these gardens provide visitors with great views of Valletta, the Grand Harbour and Fort St. Angelo. Besides the breathtaking views and the palm trees which offer a great place to relax, they also offer some insight into Malta’s history. The gardens have a guard tower, ‘Il-gardjola’, the sentry box which is well preserved and has different symbols sculpted on it, including carvings of an eye and an ear symbolizing that the tower is there to watch and listen out for the enemy. These symbols feature in brochures of Malta. 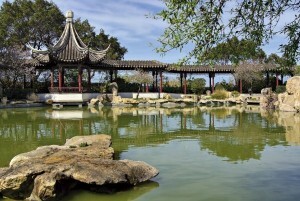 The Chinese garden is located close to the Malta International Airport. If you’re looking for a serene atmosphere this garden offers a unique and peaceful environment. Here you can find typical Asian elements and symbols such as fountains, a bamboo garden, pagodas, zig-zag pathways, bridges and different types of doors. Various parts of the garden offer symbols taken from the Chinese culture such as doors represent life, from birth to death and yin and yang, which are all part of the Chinese culture.